How it all started. Jean-Guy raced snowmobiles for many years in the Eastern Division and the SnoPro division with much sucess. Both our sons also raced with him. 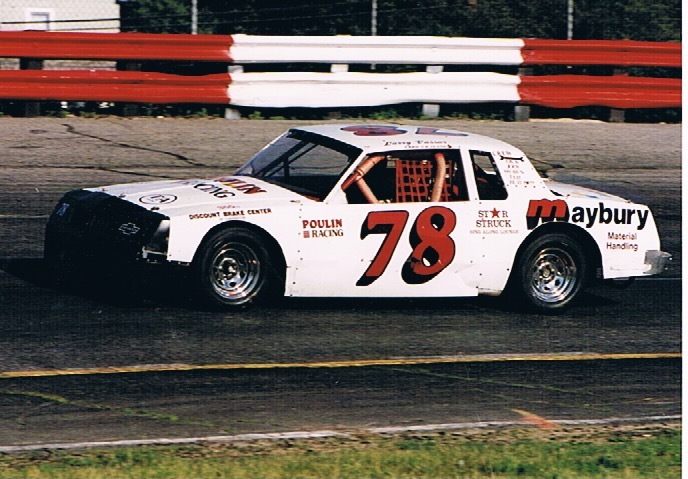 A year or so after he stopped racing snowmobiles, he and Gary Pelletier, purchased a car and hid it at Gary's house. I have told this story many times. 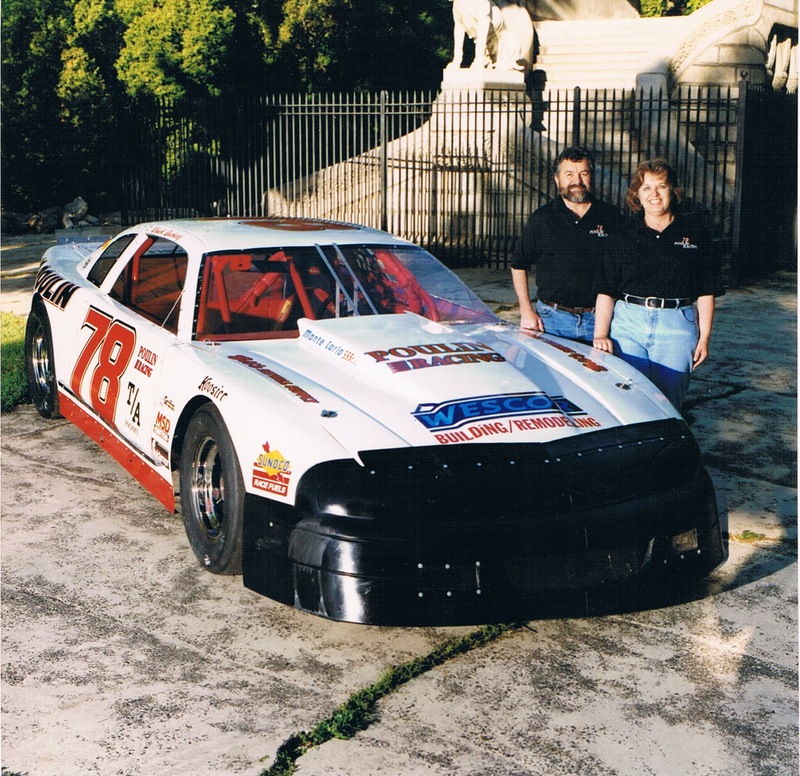 At dinner one evening, Jean said "I have something to tell you, we are going racing!" The rest is the history you will see on these pages. 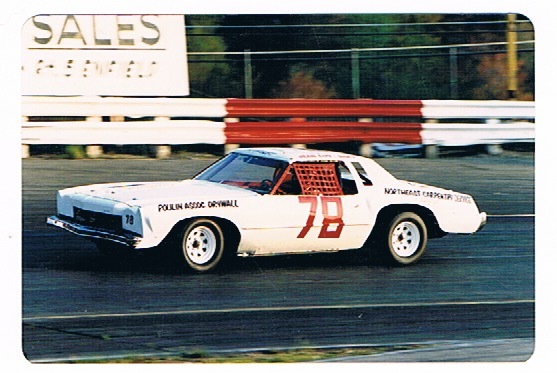 Our first car was the huge, majestic Monte Carlo, that was the car of choice for many beginners. Big and bulky, but it got the job done. 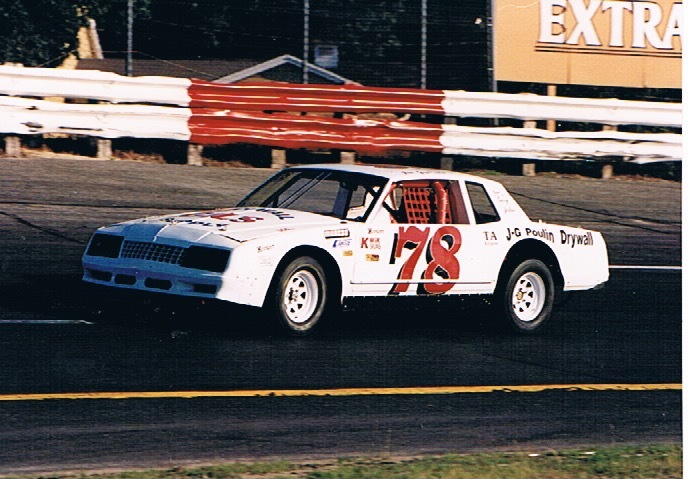 We were racing the Tri-Track Series, back then it was Stafford Motor Speedway on Friday nights, Waterford on Saturday and Thompson Speedway on Sunday afternoon. Oh we were young!! And must have had energy. Jean and Gary shared the car and the seat (no small feat) as they vary considerably in size. They alternated weeks, which confused the announcers, but it was a fun time for all of us. We were new at the game, and always had high hopes. And isn't that was racing is about from week to week?! Next we built a Chevy Malibu and this would be the model that would take us through several transistions. One - Jean and Gary drove this too. 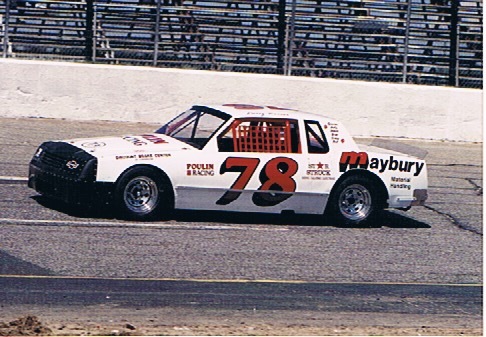 Two, then Gary built his own late model, No. 85, and there came time when Jean (three) was barely able to make it to the track on Friday evenings. Business was booming, the building bonanza of the mid 80s. 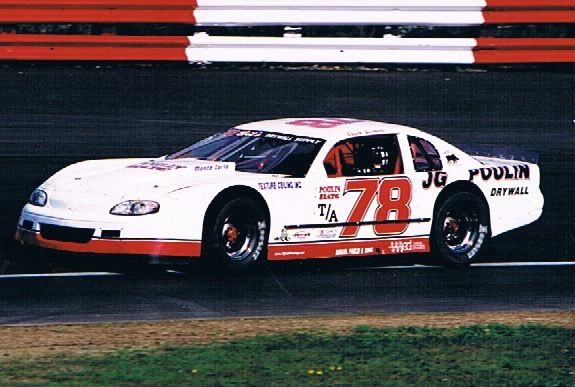 Ted Skinger had been after us to have his son, Bobby, drive our car. Both of them had been in racing for some time and could tell that we had good equipment but lacking a little experience. That is when we became owners and it has been a good many years. Gary and Jean both drove this one. 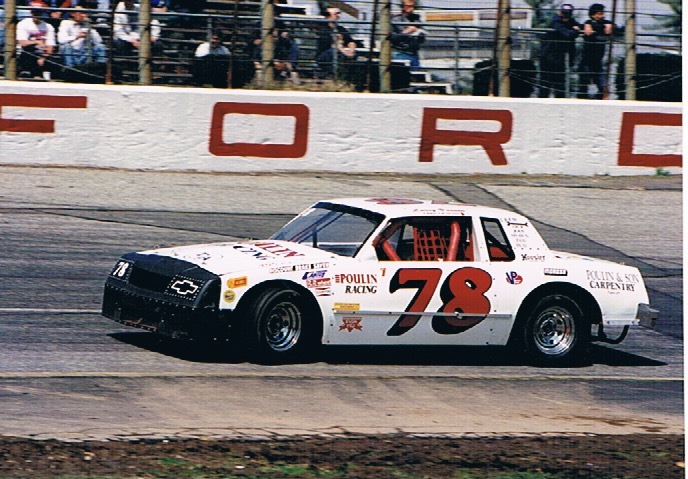 Bobby Skinger drove this one for one season, Star Struck Cafe was one of our sponsors. We won the Spring Sizzler and the trophy was loaned to them, never got it back. Bobby decided to make a move down south, hoping to not only race, but to also hook up with the Big Guys. He loved racing and that was the right move for him. Today, 2015 Season, he is with We continue to be friends with both Bobby and his Dad, Ted. So now we are without a driver, and we kinda, sorta want to continue racing. 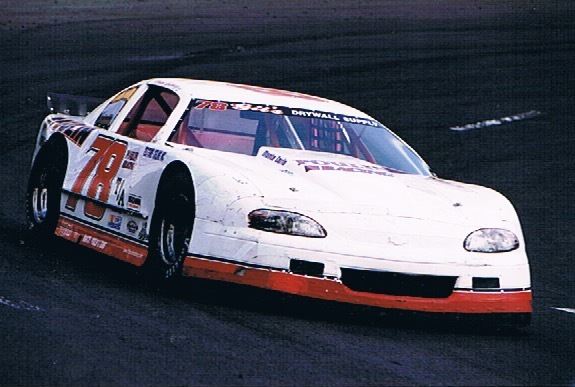 We go to the Fall Final at Thompson, as fans in the stands, we see this gray, unpainted car, with barely a visible number, but the guy could drive. Without knowing who it was, I told Jean, hey, that's the guy. We find out his name, and Jean meets up with him and Larry shows interest. Later we go to the Club House, a popular spot back then, and as I walk in, there are two guys sitting, looking quite sauced and I say to Jean...take a look at those two, to which Jean says, well, say hello to your new driver, Larry and that is his best friend, Duzie. Now, that combo may not mean anything to most, but those of you who were around back then---you understand! 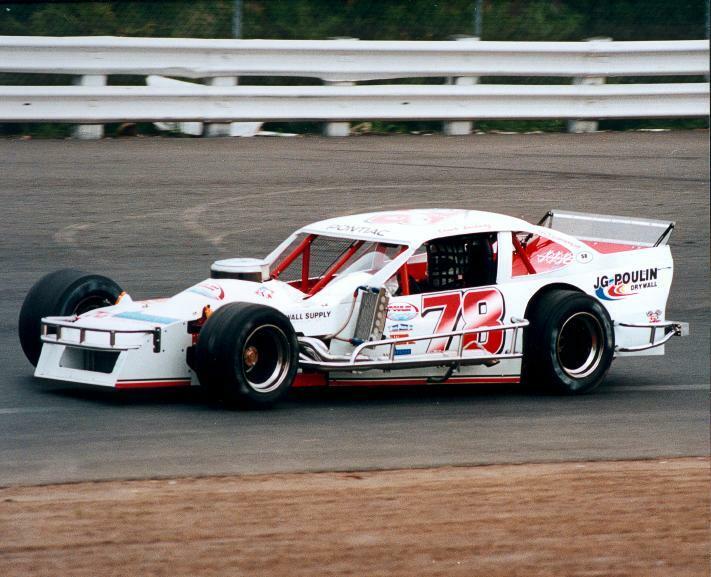 We built two cars for Larry, why we needed a backup car we still don't know. But in any case, don't do that. Back up motor yes, car no, that is just a big crutch and it was destroyed in a rollover. 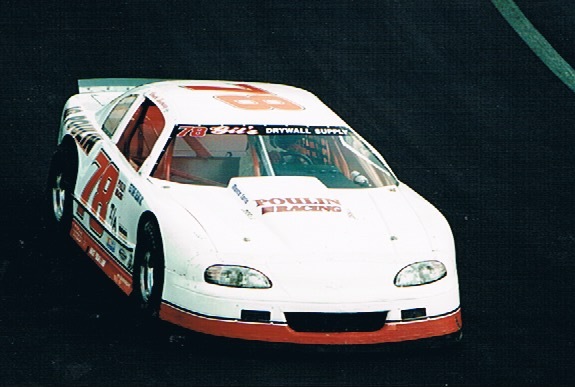 Our next move was to the Pro Stock Division, also full bodied cars, but all fiberglass, a lot easier to replace bent or broken pieces! !